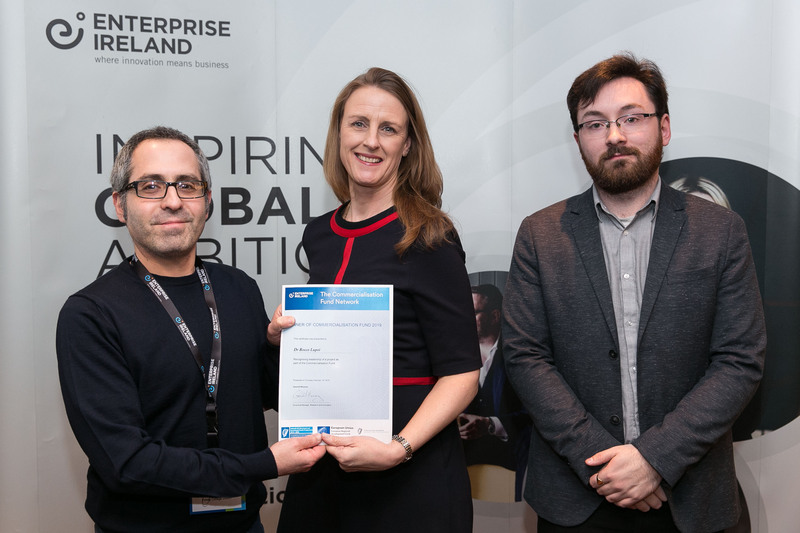 Dr. Rocco Lupoi recently attended Enterprise Ireland's Commercialisation Fund Network in Croke Park, in light of his receipt of funding to develop novel methods of additive manufacturing. 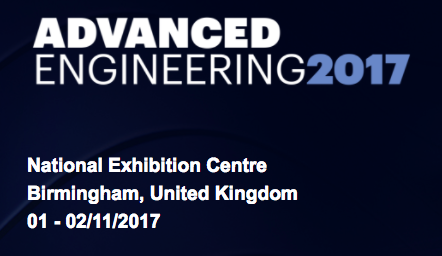 STAM, as part of a Trinity College Dublin team, is participating in a series of talks at the Advanced Engineering 2017 conference in the NEC in Birmingham. 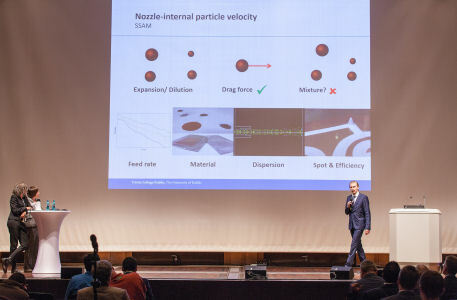 The National Cold Spray Research Centre in the Department of Mechanical and Manufacturing Engineering, directed by Prof Rocco Lupoi, was represented at the main event of the ITSC2017 - the International Thermal Spray Conference & Exposition - in Düsseldorf, Germany, this June. This globally leading specialist event in the field of thermal spraying focuses on research and applications of surface engineering technology. In over 400 contributions, internationally leading experts discussed current and future technological developments. 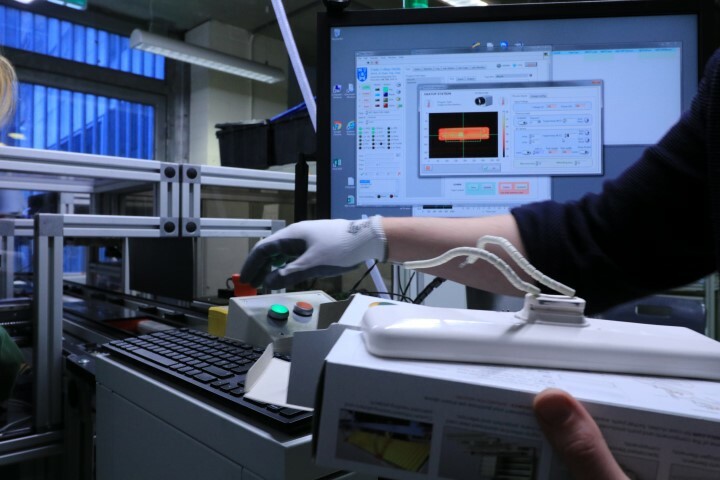 Currently the manufacturing world is on the verge of a potential 4th industrial revolution known as Industry 4.0. This revolution is made possible due to the advancement in computer computation, industrial communication, and cloud technology. Industry 4.0 has the potential to create smart machines, storage, and production systems, which are capable of seamless data distribution, autonomous collaboration, and potentially artificial intelligence. SFI - Ministers Bruton and English Announce €28 Million Science Foundation Ireland Investment in Research Equipment and Facilities. The Minister for Jobs, Richard Bruton, TD together with the Minister for Research, Innovation and Skills, Damien English, TD today announced details of a €28 million investment in research equipment and facilities through Science Foundation Ireland, including the building of an additive manufacturing nanomaterial infrastructure for the development of innovative printable materials such as 3D hip and knee implants. 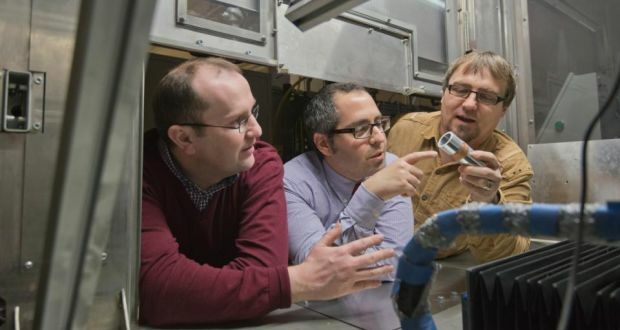 Engineers at Trinity College Dublin will lead an international study to develop a new technology that allows 3D “printing” of metal components. The €500,000 project represents the largest single research award made to the university by the European Space Agency (ESA).